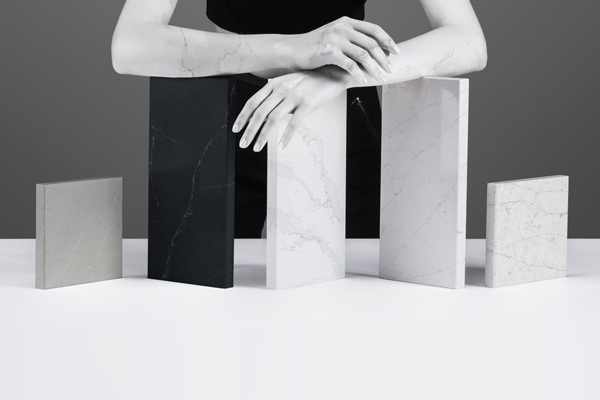 Eternal Calacatta Gold, Eternal Statuario, Charcoal Soapstone, Pearl Jasmine, Eternal Calacatta Classic, Eternal Serena and Eternal Marquina are the names bestowed on the seven spectacular, new shades of Silestone®. The spectacular design of the colours of the Eternal Collection draw penetrating patterns of highlights, visible from the surface right through to the depths of the slab, even at intersections and edges. Eternal is the first Silestone® Collection manufactured with N-boost technology, a Cosentino innovation that makes the cleaning and maintenance of Silestone® even easier and, furthermore, achieves a greater intensity of colour and increased level of surface brightness. Cantoria, January 2017.- Silestone®, the world's leading brand in the quartz surface category, will launch on the international market "Eternal", a dazzling, new range of colours which pay homage to the most sought-after, exotic marbles in the natural stone sector. The Silestone® Eternal Collection comes full of the seductive character that defines this noble, enduring material, which has been with us since time immemorial. Aesthetics and functionality are fused together in a proposal designed for even the most demanding projects. The Eternal Silestone® range is made up of seven spectacular shades, Eternal Calacatta Gold, Eternal Statuario, Charcoal Soapstone, Pearl Jasmine, Eternal Calacatta Classic, Eternal Serena and Eternal Marquina, reflecting a new trend that is making its mark on the world of decoration and interior architecture. This revival trend is based on a commitment to the beauty and timeless naturalness of authentic, historical materials, of which marble is a prime example. 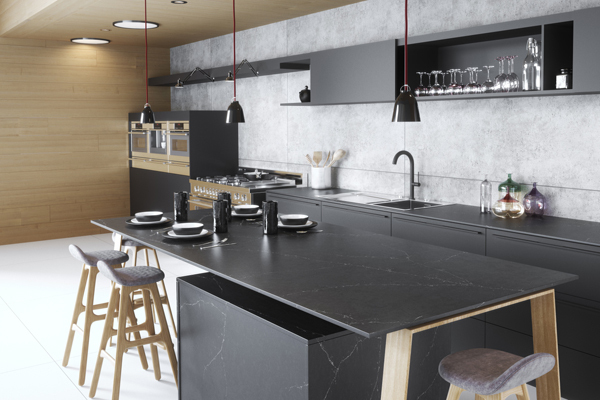 Thanks to the faultless work of the Cosentino R&D Department, Silestone® Eternal has an extraordinary, natural appearance in which the different highlights play an essential role in the overall effect. Thanks to our capacity for innovation, Cosentino has achieved penetrating patterns of highlights, visible from the surface right through to the depths of the slab, even at intersections and edges. Furthermore, the patterns of highlights are faithfully repeated with each round of production, so as not to lose one iota of the original essence of the design. The Eternal Collection is the first Silestone® Collection to be released on the market manufactured with N-Boost technology. N-Boost is an innovation patented by Cosentino which modifies the surface of the material at a molecular level and further enhances Silestone's® outstanding technical and aesthetic properties. Silestone® N-Boost achieves a greater intensity of colour and an extraordinary surface brightness, and makes the cleaning and maintenance of Silestone® easier than ever, thanks to the water repellent property of the material. Silestone® Eternal also offers the range of mechanical properties which characterise our brand: high resistance to impact and scratching, manufacture in large size formats and versatility of application. Eternal Calacatta Gold. A colour made up of a white background through which elegant, wide grey highlights are interspersed with unexpected golden glints. Eternal Calacatta Gold, with its eternal, distinguished appearance, pays homage to a marble which has been held in high esteem since ancient times. Eternal Statuario. Inspired by the classic Italian Carrara marble, Eternal Statuario has a white surface with very soft, sparkling highlights in a shade of grey. Colour and harmony are fused in a background that stands out for its remarkable sense of depth. Charcoal Soapstone. Inspired by the popular "soap stone", this colour has a blue-grey finish with powerful, grey highlights. A spectacular creation, characterised by its rotundity, depth and sense of movement. Pearl Jasmine. Inspired by White Macaubas marble, Pearl Jasmine offers a marbled, white background with interwoven grey waves and highlights. Pure aesthetics, presided over by a style of natural, timeless exquisiteness. Eternal Calacatta Classic. Following the same lines as Eternal Calacatta Gold, the Classic version mirrors a different pattern of highlights and subdues the golden glints. An exacting design with an attractive, elegant effect. Eternal Serena. A finish of grey stone with fine, gentle, white lines drawn through to its depths. The subtlety and softness of nature define this distinguished proposal. Eternal Marquina. Evocative of the beautiful, Spanish Black Marquina marble, this creation presents an intense, black background with convincing, intense, white details and highlights which rise to the surface. Silestone® Eternal, a unique collection which brings a timeless quality to every space. The worldwide brand leader in quartz surfaces, Silestone® by Cosentino, consists of more than 90% natural quartz. This high-tech material is highly resistant to stains, knocks, scratches and has also a low level of fluid absorption and an exclusive bacteriostatic property (available under special order). Silestone® meets the several product guarantees and certificates that endorse its quality and offers a warranty to the consumers of 25 years. 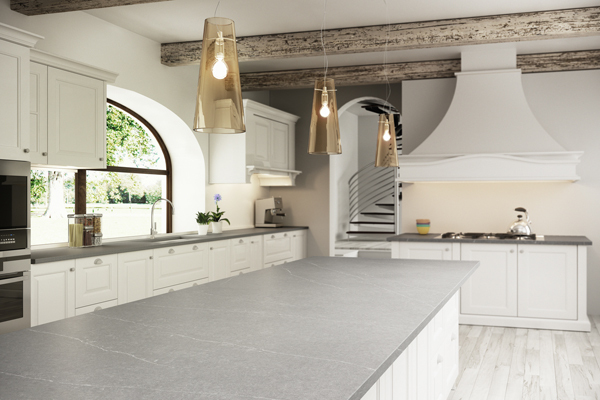 Silestone® comes in over 90 colours, three textures and several different formats. Silestone® surfaces are highly suitable for the kitchen, bathroom and demanding buildings such as hotels, restaurants, hospitals, laboratories etc. Silestone® also includes a recycled series called Eco Line which is manufactured with at least 50% recycled raw materials. It is a pioneering and eco-friendly product and offers beautiful design and excellent performance. Silestone® is present in unique constructions, such as the “Rafa Nadal Academy by Movistar”. Since 2011, the Cosentino Group sponsors “The World’s 50 Best Restaurants”.